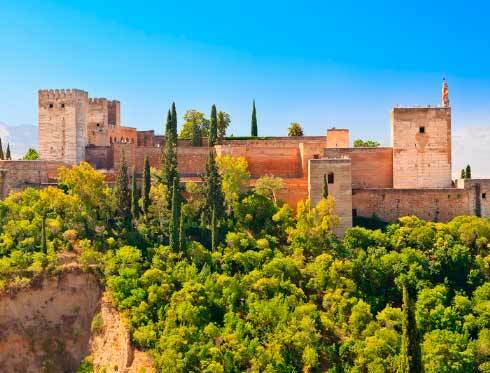 The Albaicín is an old Arab quarter that covers the area located between the Alhambra hill, San Cristóbal hill, Sacromonte and Elvira street. A location that gives a unique beauty to this quarter and makes a difference from the rest of the architecture of the city. 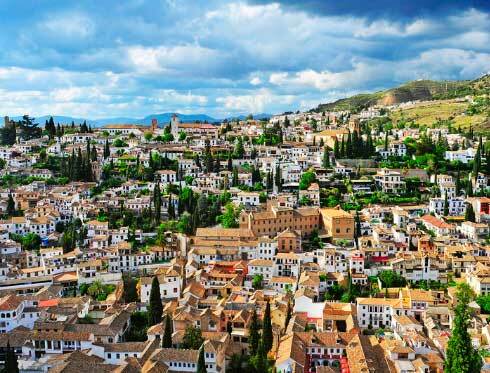 The narrow and windy streets of the Albaicín are a great reminiscence of the Arab culture. Get to know the Albaicín with Granada City Tour tourist train and get lost in the streets of the neighbourhood declared World Heritage of Humanity in 1994. This quarter is also known as ‘Barrio de los Cármenes’. The ‘cármenes’ are considered the most typical houses of Granada. The word ‘carmen’, as it is generally accepted, comes from the Arabic-Spanish word ‘karm’, which means vineyard. We can find many gardens full of flowers and floral facades that perfume the corners of this quarter. Another aroma that people may appreciate is the characteristic smell of tea of the Calderería street, also known as ‘Calle de las Teterías’ -Tea Houses Street-, a perfect place to relax while having a delicious Arabic tea. This street is just a sign that Arab culture is still present in Granada. Another feature that makes this neighbourhood famous is the panoramic views it offers. The location of the Albaicín offers unique views to the Alhambra. You cannot miss the views from Mirador de San Nicolás and Mirador de San Cristóbal, especially during sunset. 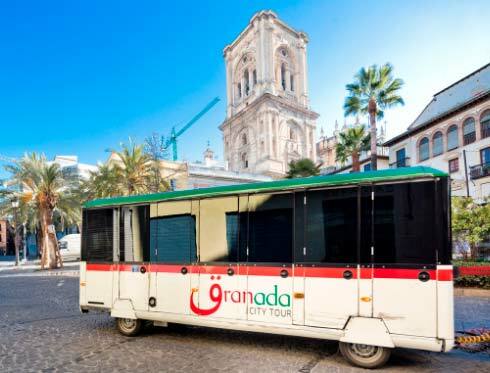 Get to know the charm of this neighbourhood with Granada City Tour tourist train and its hop-on hop-off service which will allow you to get off at any stop and then get on again to continue with the tour.